"VCL nebulizer '™ portable nebulizer for vocal cords and lungs. Ultrasonic nebulizer based on innovative MESH technology. Battery powered. New, alkaline baterries will last for approximately 60 minutes. A MESH nebulizer, such as the 'VCL' is an innovative nebulizer for nebulizing a saline soulution and / or medication. 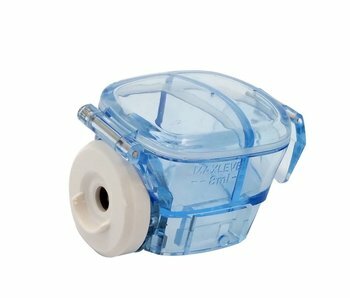 The heart of the nebulizer is made up of a filter with a few thousand holes. The liquid medication or saline solution is transformed through these tiny holes into a mist. This form of atomisation is noiseless and produces a large amount of mist in a short time. Easy to clean. 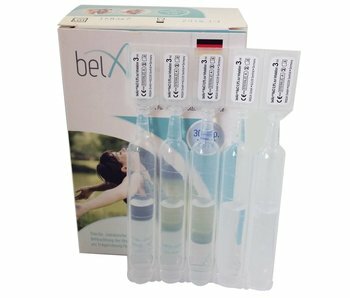 For relief of throat or vocal cord rehabilitation of respiratory complaints or atomizes you through the portable 'VCL "a saline solution (sodium chloride), available at the pharmacy. The VCL can also nebulize medication like Pulmicort® (budesonide) deep into the lungs. The soundless, portable 'VCL' atomizes a very fine 'mist', is very compact and can be used wireless. Therefore, the 'VCL "can easily be taken with you and used after performances, after strenuous exercise in dry and / or cold air or just used when you are traveling. The 'VCL' contains a mask and mouthpiece. Inclusing 2 AA batteries. Suitable for both children (under adult supervision) and adults.